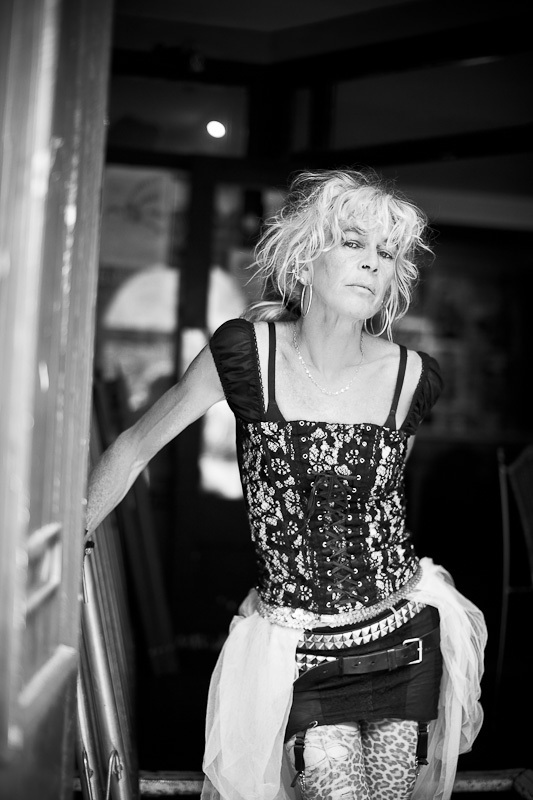 Back in the summer, I took some images to be used on Bristol singer-songwriter Rita Lynch’s forthcoming album. Rita is one the major draws on the Bristol live music scence, a singer who achieved a decent profile UK the early 1990s, when she was often mentioned in the same breath as P J Harvey, and was the subject of a Channel 4 documentary. Her music was been used in a Channel 4 drama, Rosebud,British horror movie, Vampire Diary and has appeared on many CD compilations. Rita plays what can be described as exhilarating, emtionally-charged stripped down rock and roll. Her 2001 album All Dressed Up is a true noughties classic. 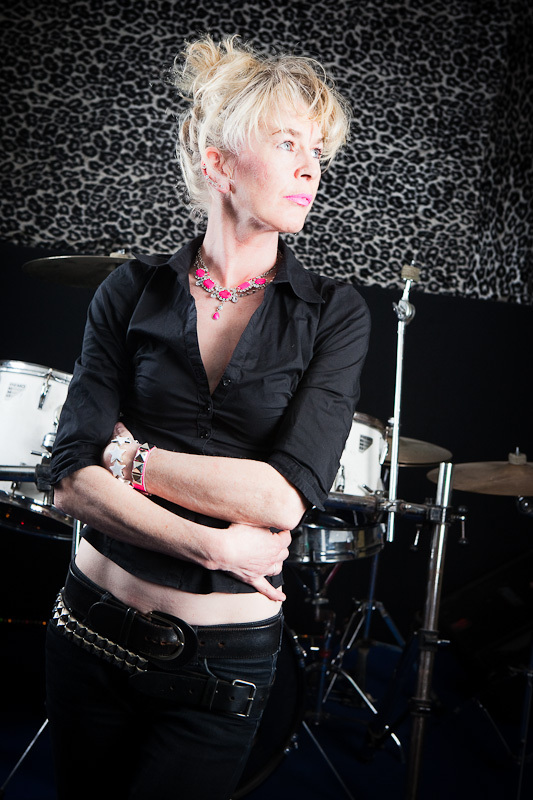 In recent years she has also played guitar and provided backing vocals for Bristol indierock legends, The Blue Aeroplanes, who released a well-recieved new album, Anti-Gravity, this year. 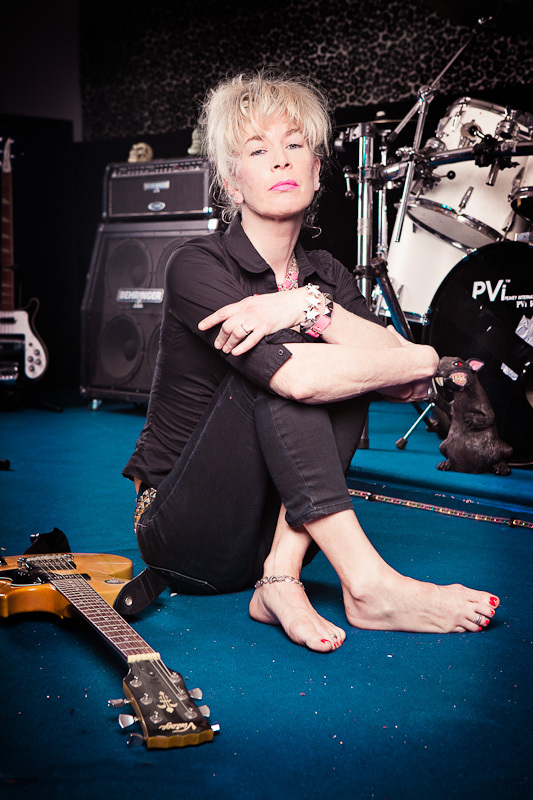 Earlier in her career Rita took part in photoshoots which yielded some iconic-looking imagery, where she looks like some punk rock siren or Wendy James… but now favours a more laid back approach to photos. Our shoot shoot place in daylight in and around Stoke’s Croft, making use of the ‘bear pit’ roundabout and any interesting corners we could find. Three images have been used on the CD packaging and disc. Rita in Bristol's affectionately-dubbed 'bearpit' roundabout. Rita Lynch outside The Croft music venue.